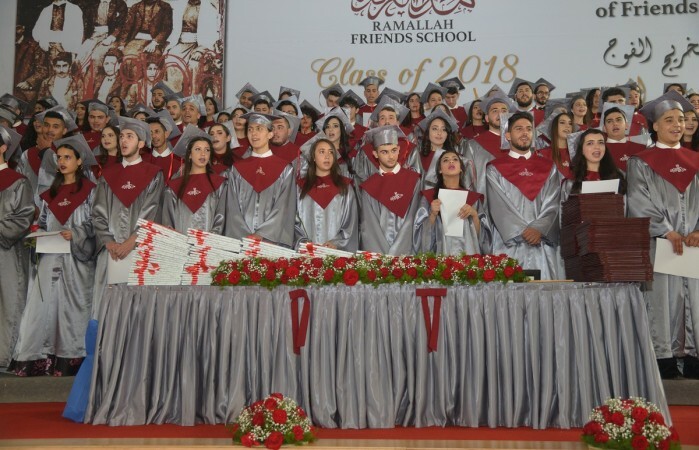 Ramallah Friends School held it's 112th commencement on Sunday May 27th. 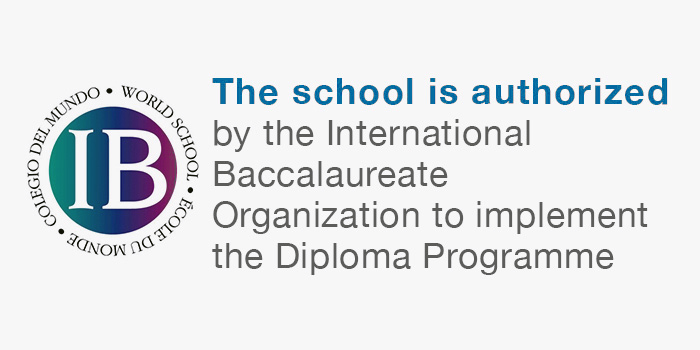 The International Baccalaureate Organization (IBO) has approved RFS for authorization to offer the Primary Years Programme. 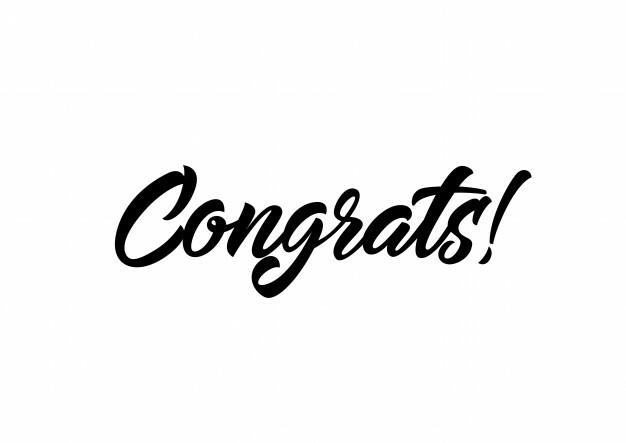 Congrats RFS! In the eighth issue of RFS' newsletter, the Olive Press, we focus on RFS' Quaker value of Integrity and introduce you to RFS' Summer Programs. It is available at this link in English and Arabic. In the seventh issue of RFS' newsletter, the Olive Press, we focus on RFS' Quaker value of Environmental Stewardship. IT Department will soon introduce RFS students, teachers and staff to free access for Microsoft's Educational Office 365. Read RFS' monthly newsletter here. 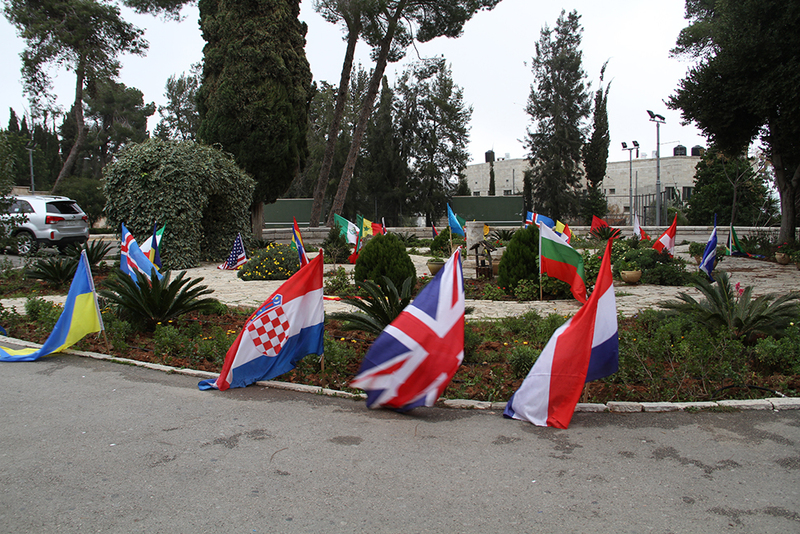 Over 400 Palestinian students participated in the Seventh Annual Palestinian Model United Nations Conference at the Ramallah Friends School. 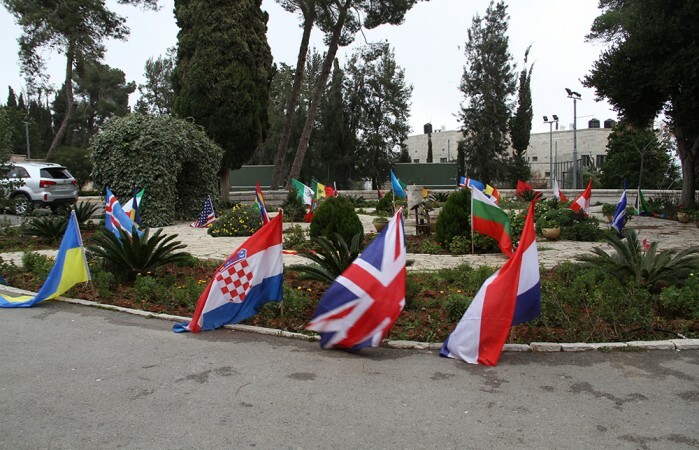 In Strategic Partnership with Bank of Palestine and Ramallah Municipality. 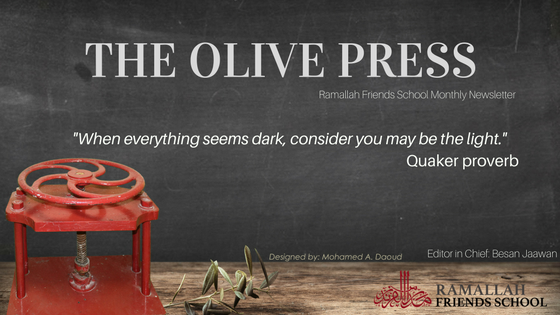 Olive Press 5th Issue is ready! 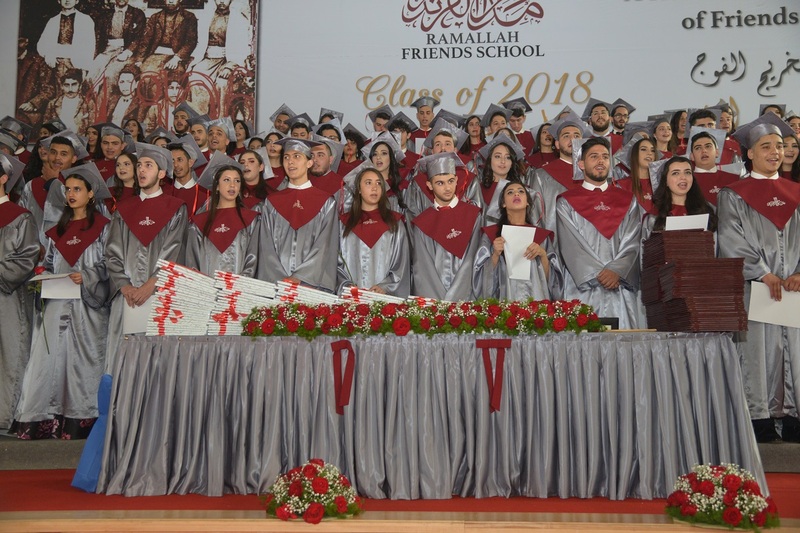 RFS initiative comes into the light with the launch of, in cooperation with Al Nayzak Organization, the first and only Arabic Reading Platform for students aged 5-8 years in Palestine.